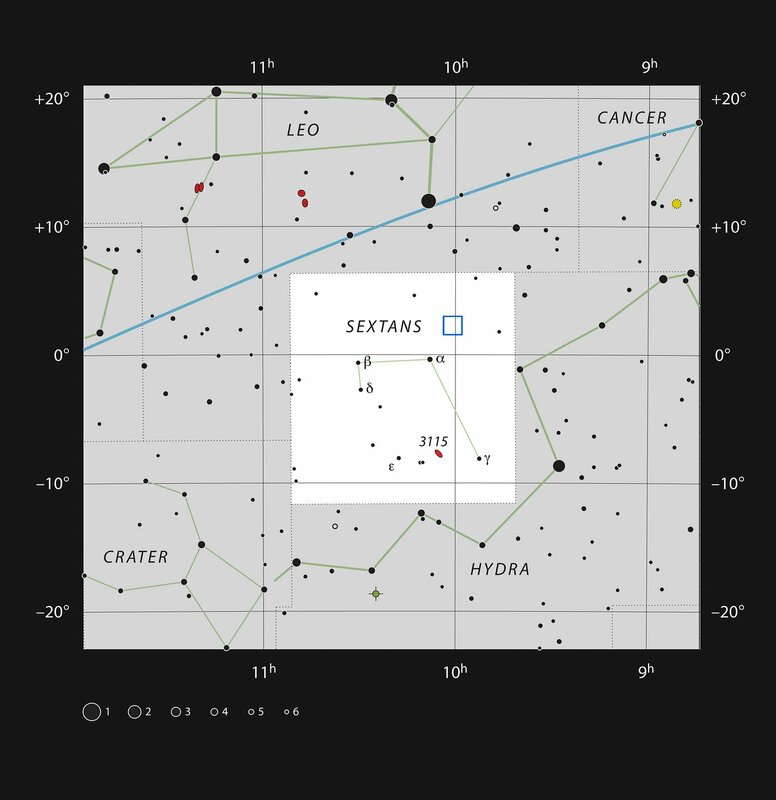 This chart shows the location of the COSMOS field in the constellation of Sextans (The Sextant). This map shows most of the stars visible to the unaided eye under good conditions, and the COSMOS field is marked as a blue square. Through a small telescope nothing can be seen here apart from a few faint stars, but this small patch of sky has been studied in great detail by telescopes on the ground and in space.